We’d love your help. Let us know what’s wrong with this preview of The Midnight Writers' Anthology 2015 by J.L. Zenor. The first anthology from The Midnight Writers. Contact: Follow the crew of a steamship as they seek to make contact with an alien race. Guardian: Join the guardian of a Native American tribe as he defends against a hunter seeking a magical artifact. The Worm People: Follow a young orphan in his new position as the transporter, bringing back much-needed medicine from the myste The first anthology from The Midnight Writers. Published November 1st 2015 by Midnight Writing Society, LLC. 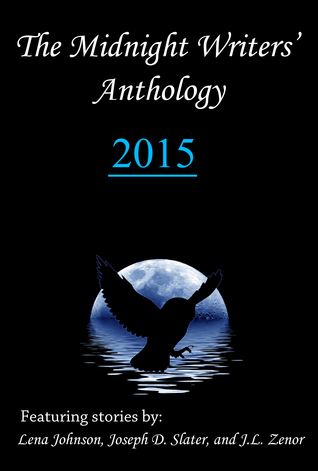 To ask other readers questions about The Midnight Writers' Anthology 2015, please sign up. With the theme of "Weird Westerns", these stories definitely range from the "weird" to the "western". The authors also range in their writing ability, which becomes obvious when they are all read next to each other. And while this anthology would probably work better with quite a few more authors' work included, it seems to be a good starting point for this group of writers.